Every month or so we get together with our pals Stefanie and Bill for our meeting of the East Cobb Dining Society. We take turns picking the restaurant. Our friends like to pick places that we have not been so that we can get out the iPhones and take pictures of all of our food. 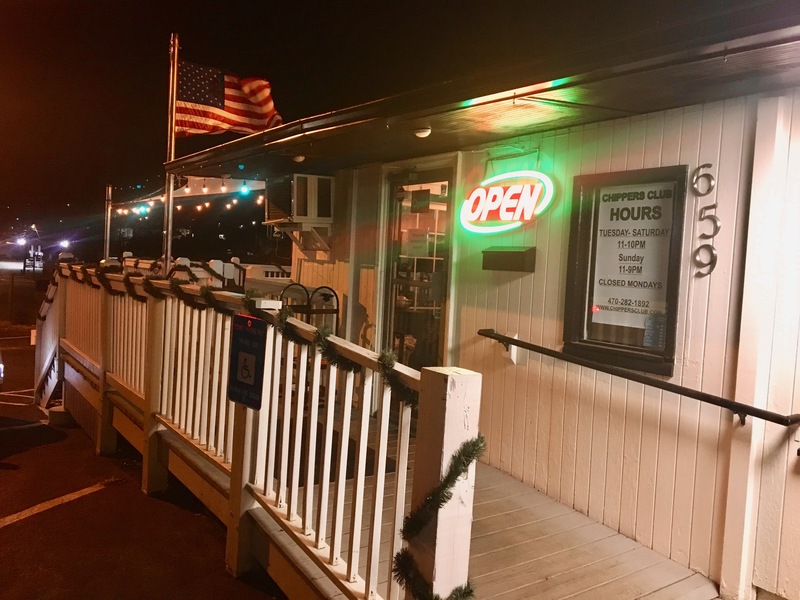 Tonight, we visit a place in Roswell that has been a million different restaurants, but is now known as Chipper’s Club. It’s not a sports bar, and it has nothing to do with Chipper Jones. Chipper is Chipper Gronholm, a Roswell native and co-owner of the place. Confusing name aside, they do have good food. It’s small inside, but there is a nice deck that will be wonderful this spring, but not on this January night. It’s cold outside! 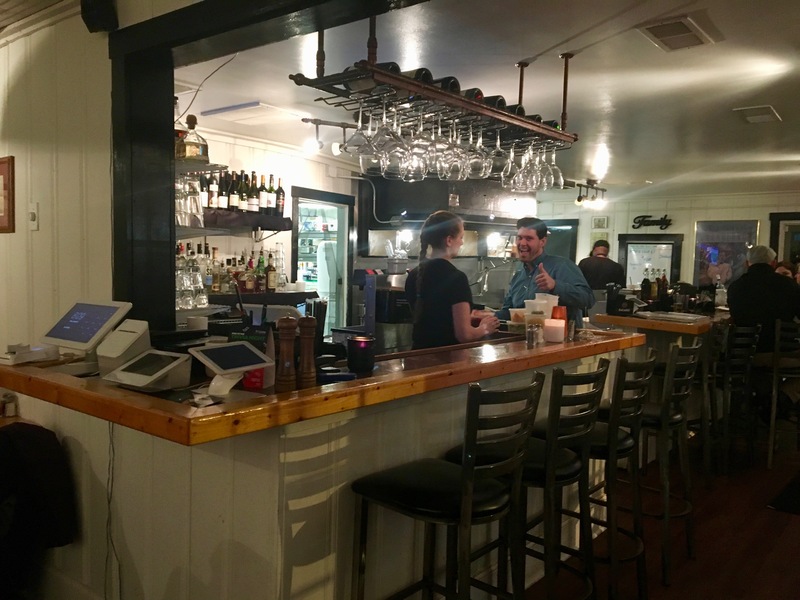 Let’s grab a brewed-in-Roswell beer and see what’s on the menu. 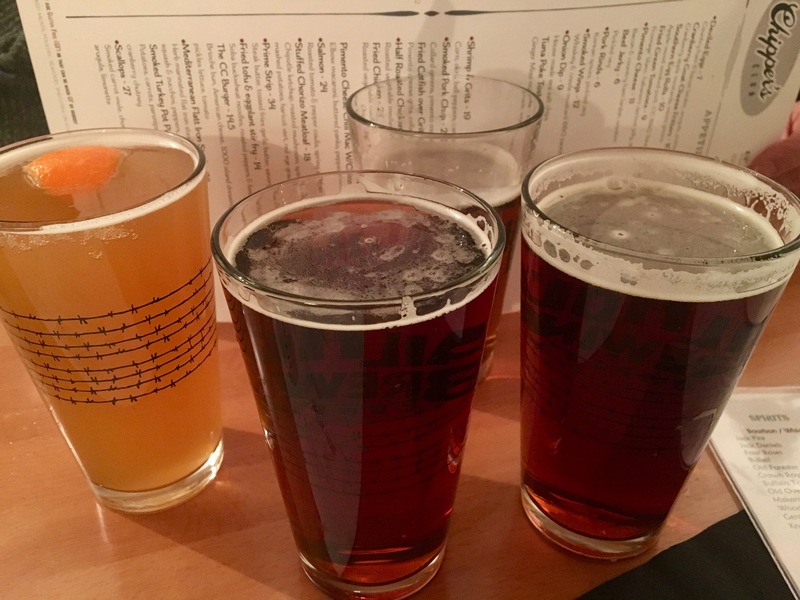 Three of the four beers are brewed a few blocks away at Gate City Brewing. The best description of the fare is “trendy Southern”. 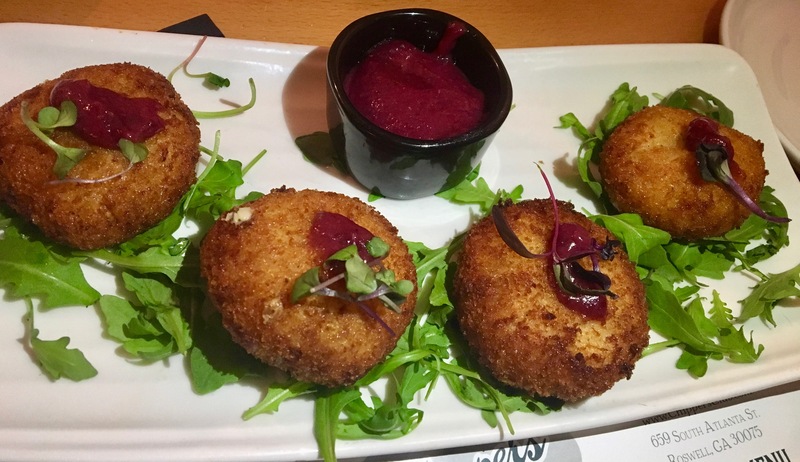 We ask our server what’s a good appetizer for the table and she suggests we try the cranberry goat cheese fritters. These are hot, fresh and really good. The cheese is soft inside, yet the outside is firm and crunchy. How do they do that? I would go back just for these alone. These are a “must-order” if you go. Three of us eat fairly healthy tonight. One of us does not, but he really enjoys his meal. 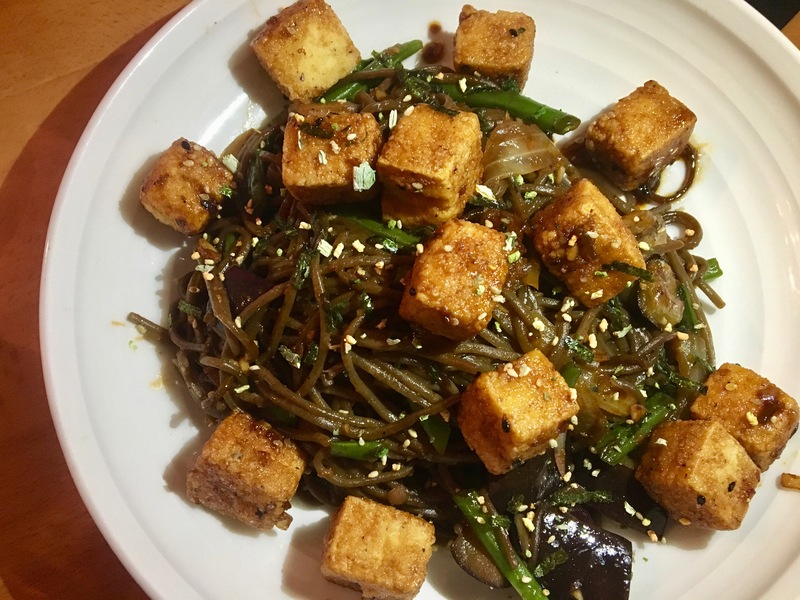 Vegetarians might like the tofu with buckwheat soba noodles. Eve and Stephanie both order this. It’s got a little bit of a kick and the tofu has a nice crunch to it. 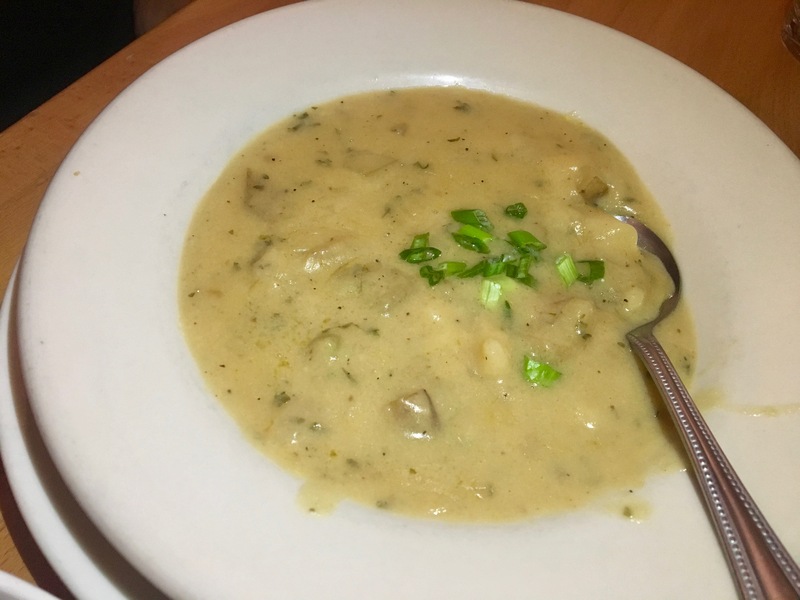 The vegetarian entree changes often, so hopefully this will be on the menu during your visit. That’s a heap big load of deconstructed salad on the plate. 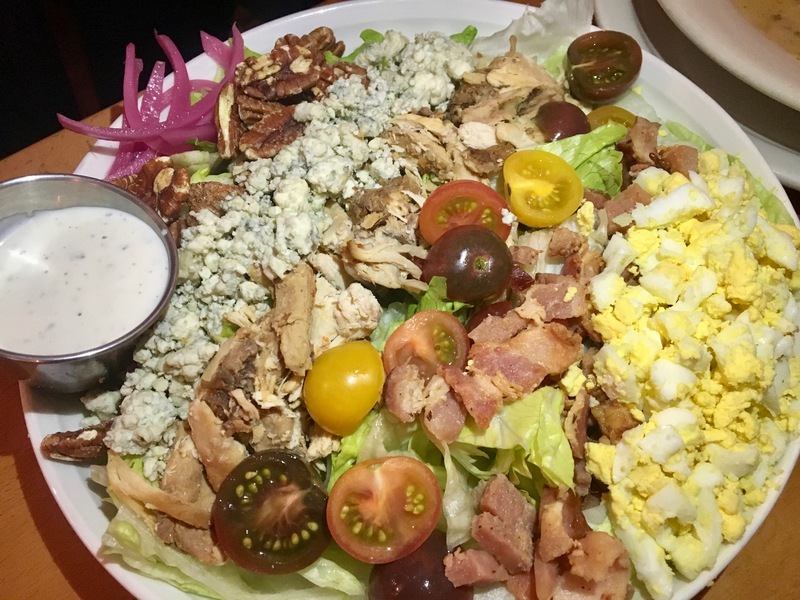 I have resolved this year to eat better in restaurants since I do eat well at home. 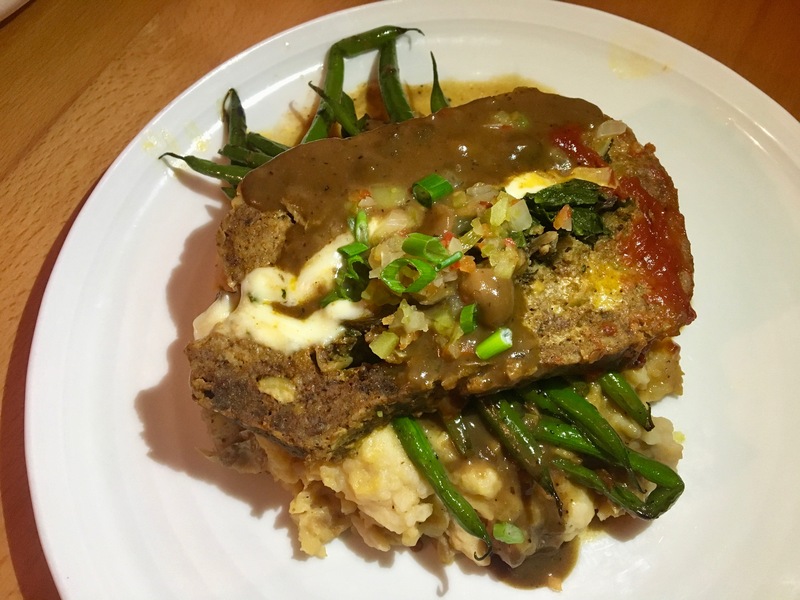 Of course, when there’s meat loaf on the menu on a cold winter night, comfort food wins out over resolutions. This is not your everyday, ordinary loaf. No, it’s stuffed with chorizo as well as spinach and mushrooms. It comes served over a pile of mashed potatoes and green beans (haricot verts if you are a French food fan). This is very filling and you will take some home. I should have, but I was hungry. We all leave stuffed and satisfied. Chipper’s Club has done their job. 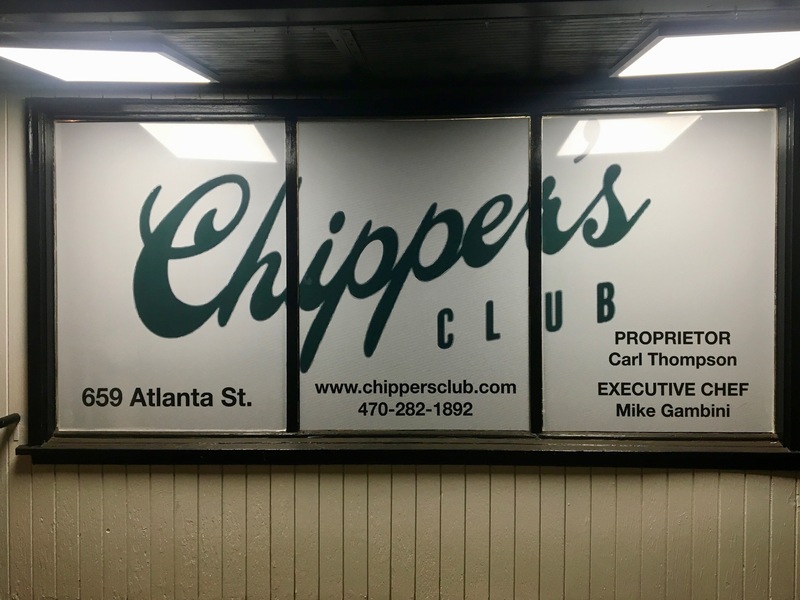 The bottom line on Chipper’s Club: For some reason, this space has seen restaurants come and go. Hopefully, Chipper’s will have a long run here. The food is excellent, and we didn’t get to sample other dishes like the shrimp and grits or the pork chop. We’ll save them for a future visit.